Military surplus makes once expensive items inexpensive. This used German 4-pc. 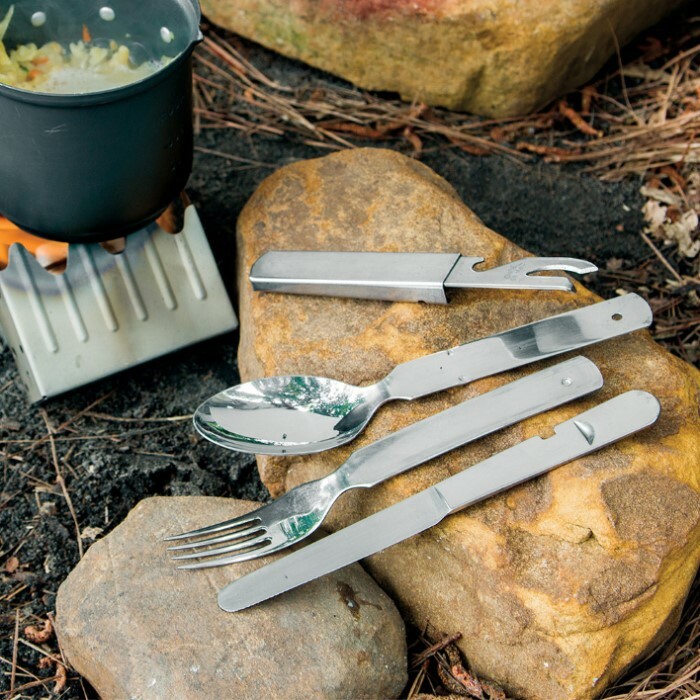 Utensil set makes eating at the campsite a lot easier. 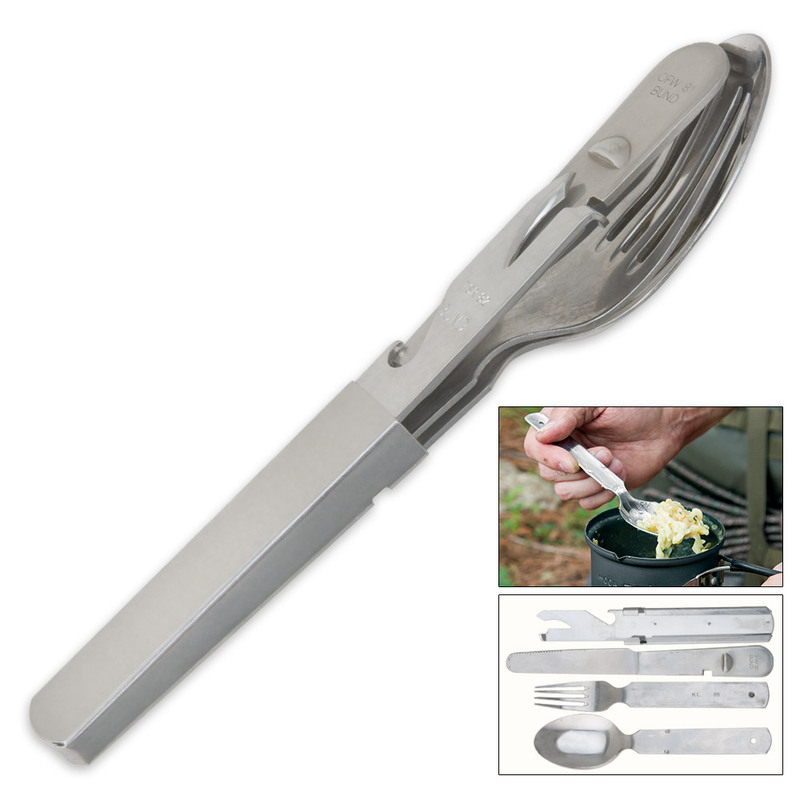 A knife, fork, spoon and can opener all snap together in a convenient unit that easily comes apart for dining. I found these on Budk and ordered 3 sets. I wish I had found them sooner. They are very well made and are everything I needed. if your looking for eating utensils, this is what you need. 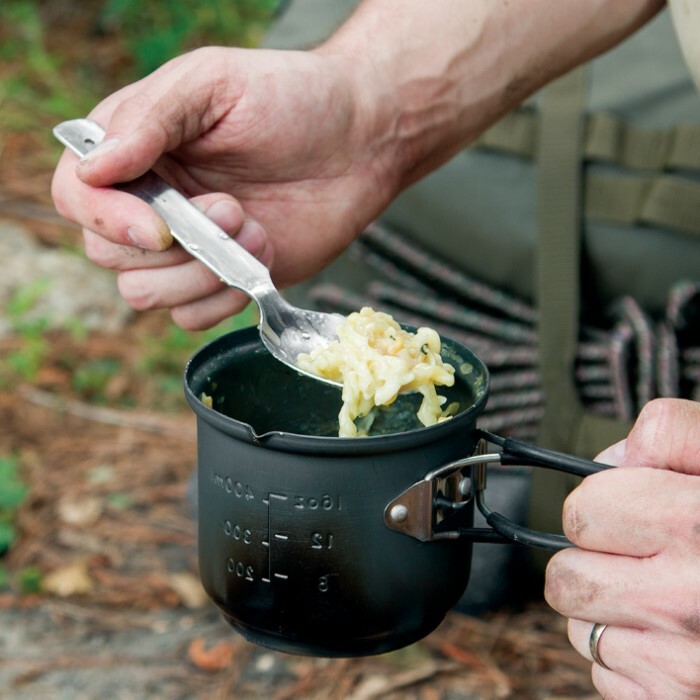 Forget those sporks and all the BS, order these. They work and are impressive in workmanship. You will not be disappointed. Thank you budk. I had been looking at these online for a year or so and finally decided to buy some. Fantastic quality and well though out. I was so impressed I bought 10 more of them. I keep two in my go bag, 4 in the tornado shelter and one in each of my vehicle kits. Well worth the money and extremely well made. Solid set! The set goes together and relatively tight and without any pointy protrusions. Pros: Inexpensive, quality feel, full size utensils, no pointy protrusions when together, the knife is actually sharp! Cons: Heavier, and the spoon is Gigantic!!!! I gave it a 5 star, but would like to give it a 4.5 star just on the premise that the spoon is so big. I don't mind so much the weight, but for others looking to minimize pack weight, you may want to consider another item (titanium). If I lost this set, I wouldn't hesitate to buy the exact same thing.